How soon can I draft?  Three months is typically the soonest that a person can draft into the IDF. Upon making Aliya, if you are of age to draft, your draft date will automatically be set for a year from the date of your aliya. There are often delays that occur in communication, as well as appointments that need to be made in advance so this is subject to change from case to case. If you are drafting through Mahal, they have a different timeline. At what age can I enlist? You can start the drafting process at age 18, up until the age 27 for males and 24 for females. At age 25, it becomes more complicated to enlist, there are fewer jobs available and you will be considered to have volunteer status instead of being a regular draftee. ***However, if you have a degree in medicine, this changes and you will have to convert your international degree and take tests to be considered a doctor in Israel and then go through a different type of draft process. In order to really understand what your rights are, contact us and make an appointment with an advisor who will walk you through the process step-by-step and explain your rights so that you understand them. For an introductory version click here. My Hebrew is not good. Is this a problem? Will it improve? Not knowing Hebrew can be an obstacle if you do not make an effort to learn the language before and in the early stages of the army. It will improve, though not at the rate by which you would need it to by simply being there, so it is crucial that you take time before you draft to learn in an Ulpan or another means. Michve Alon is a base in Northern Israel that focuses on all different types of education for soldiers in the IDF. It is most well known for its Hebrew Course for recently drafted soldiers. This course runs three months long and is combined basic training and Hebrew ulpan classes, to ensure that the soldiers can go on in their service with good enough Hebrew to participate in almost any position in the IDF. Soldiers can draft to Michve Alon at three different times throughout the year (April, August and December). There may be different levels of basic training for each soldier, depending on which unit they go to and whether or not they begin their service at Michve Alon. If you go to Michve Alon to improve your Hebrew, you will spend the first few weeks in level 02 basic training. Then, when you receive your placement and join your new unit, the exact amount of time spent in basic training varries depending on which unit you are in. Some units can complete this stage of training in one month, while others can take upwards of four or five months before advancing to the next stage of training. What are my options for living arrangements? Luckily for you, there are so many great places to choose from to call home while in the army. The Garin Tzabar program provides housing for at least one year from your draft date. Other programs have housing options available to those who need as well. For more specific information regarding housing, click here. Are there programs I have to go through to join the IDF? Not necessarily – if you are a lone soldier you have different options. Firstly, you can either join the army by making Aliyah (immigrating to Israel) or by volunteering without attaining citizenship. If you choose the volunteer option, the program is called Machal. If you elect to make Aliyah, you then have more options. If you immigrate at the same time you wish to join the army there is a program called Garin Tzabar which helps facilitate the process as well as giving you a kibbutz to live on with other new immigrants joining the army. Lastly, you can make Aliyah and then draft normally, though there are many challenges that can arise without help which is why places like the Lone Soldier Center among others exist: to help, advise, and provide necessities for lone soldiers. Nefesh B’Nefesh is an organization that works with the Jewish Agency to help people make Aliyah (immigrate to Israel) from all over the world. Nefesh B’Nefesh works with different programs, though their only objective is making sure that all the right documents are submitted and the logistics are taken care of regarding one’s legal immigration to Israel. What are the different units I can draft into as a lone soldier? Whether you are a man or woman or you prefer combat or non-combat, there are so many different options for you. Check out all the different units here. Are there any units I am not allowed to draft into? There are some units that are only for men, some that are both men and women, and a few that are only for women. Additionally, a person who does not pass the required exams or tryouts cannot be placed in a unit higher than their placement. See our units page for more information. Can women draft into a combat role? Yes, women can draft into different combat units, taking on a wide variety of roles within each of these units. For more information, click here. Once you draft, you are guaranteed a 30-day vacation abroad from the army once per full year of service, only beginning after the eighth month of service. One of these 30-day trips will be paid for in full, however if you would like to return to visit family more than once you will be required to pay for the flight. Your parents are allowed to visit you in Israel and you will be granted 4 days off every 6 months. Click here for more detailed information on your rights as a lone soldier. What should I do for the chaggim (holidays)? When the chagim roll around you might want to take advantage of the numerous opportunities all over Israel during these special times of year. If you’re able to get off base for chaggim, then here are some ideas that may be worth your time. Ideally, visiting family is the way to go, but we do understand sometimes it might not be realistic, so let’s get something straight. Visiting your third cousin once removed, up North, isn’t great because you enjoy making conversation with a distant cousins, but rather you get to see all the different towns in Israel. So although that 2 hour, four transfer bus ride might not seem worth it for a cold polkey and some rice, there might just be an awesome view of the Golan. And even if there isn’t, a room to yourself and a bed is just as good. Let’s talk about chagim on base. Yes, they do celebrate chaggim on your base, and it’s not that bad either. Even if you are going away, you can get involved in any preparations on base before the chagim. The food isn’t going to be great, and maybe you were looking for a better bed option, but spending chaggim on base can be just as fun. Spending time with your fellow soldiers might just be all the family you need for the chaggim.